Your family will feel right at home at GlenMar Cottage. 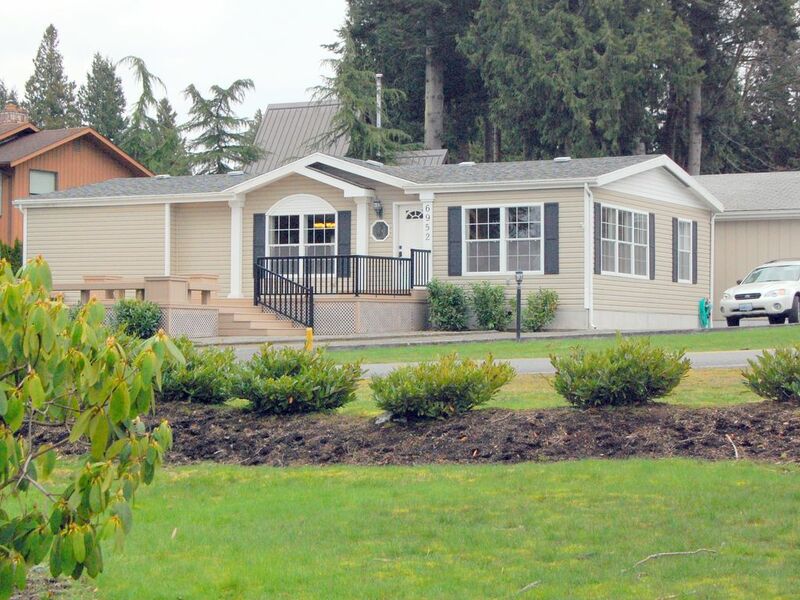 Our recently remodeled Birch Bay vacation house is in the Point Whitehorn area. It’s fully equipped for a carefree visit. Inside the house, it’s ideal for a romantic weekend for you and your significant other; or for mom, dad, and up to 3 kids. The open layout, fun beach décor, vaulted ceilings, and lots of windows with views of the bay put you at ease the moment you walk in the door. There’s a nice master bedroom with a king bed and its own bath; and there’s a bunk room (3 comfortable twin beds in 2 bunks) with a bath next door at the opposite end of the house. The cozy living room has a big couch and recliner and a large screen TV and Blu-Ray player. Xfinity wifi Internet access is available. There’s a game room with a pool/craft table. The dining room comfortably seats 6 and the modern kitchen is fully equipped. Insulated windows and a heat pump keep you comfortable. Your inside time will be comfortable, but come to Birch Bay for the outdoor fun. Walk out the front door and you have 700 sq. ft. of deck with a view of the bay across the street. Sunsets are amazing! Being in the Pt. Whitehorn area, you have quiet streets for biking and walking. Beach access is a one minute drive or easy walk to Birch Bay State Park. Another great place to visit the beach is the lightly used Point Whitehorn reserve a half mile from the house. There you will find a great walking trail that ends at the beach. A unique feature of the house is that there’s lots of room to park in our large driveway. You will find a Weber charcoal grill for barbeque. Outside dining is easy with lots of outdoor furniture on the deck or in the nice backyard. At night, you can see Point Roberts and the lights on the mountains in the distance after gorgeous sunsets. So, you have a quiet retreat close to lots of things to do. Commercial Birch Bay is out of sight on the other end of Birch Bay State Park, but only about a 5 minute drive away. Local wineries and artisan food producers are also easy drives to visit. We have brochures at the house. We think that our house is a unique choice for your Birch Bay vacation. You'll have a comfortable quiet home with room for six, a great deck with a beautiful view, a quiet neighborhood, and room for bikes and boats and even an RV. If you want to be right in the heart of the Birch Bay vacation crowd, this isn't the place. If you want easy access to that plus a quiet active retreat for your family, stay at our place. Sorry, we don't allow pets. We have allergies and try to keep the house very clean and allergen free. Maximum number of people allowed is six. No big parties. This house is in a quiet neighborhood. Do not use the private park across the street unless you have permission from a member of the neighborhood association. This house is not part of the Point Whitehorn neighborhood association. Please review house rules and the reservation agreement you will see as part of the payment process before completing your reservation. Thanks! We live and work in the Olympia, WA area and have lived in Washington for 40 years. It's long been a dream of ours to live near the water; and more recently to live near our grandkids. This house is step toward those two wishes. We have a few more years before we can move to Birch Bay. We hope you enjoy sharing this house with us until then. We love the beautiful surroundings and quiet neighborhood. It's easy to get to the beach, go for a hike in the woods, paddle or sail, or just enjoy the quiet. We found the Birch Bay area to be really friendly and close to the things we need. We really enjoy our frequent visits. Once we arrive we quickly go into 'beach mode.' Time slows down and we appreciate being together in such a beautiful place. We hope you will, too. toilet, combination tub/shower, shower, For general use and next to the bunk room. toilet, shower, Large with 2 sinks and a large walk in shower. The access to the bay is across the street with a park a little further down the road. Watch sunsets over the water from the front deck. Lots of space for 2 cars and more. Covered area for bikes, paddle boards, kayaks. Xfinity high speed internet. No TV channels though. Bring your Roku or fire stick. Side by side with ice maker and filtered water. Smaller model but new and nice. Spices and a few other items to supplement the food you bring. Fully equipped. Share our spices and condiments. Nice 45" HDTV. No cable TV - bring your DVDs or Internet access device. Book case stocked with fun reads. Lots of board games and puzzles. Room for yard games, Nice areas to sit outside. Beautiful golf courses close by. The Birch Bay area combines natural beauty and beach activities with fun dining in Birch Bay and Blaine, and interesting attractions close by in Bellingham and the Mt Baker National Forest. It's an hour from Vancouver BC. Bay View Cottage with the BEST sunset views, and many thoughtful inclusions! I just had the opportunity to stay at this lovely home in Birch Bay! I stayed with my sister and our kids who are 9 and 7 years old. First of all this spacious cottage has a wonderfully large deck that we spent many afternoons on playing games and having picnics, and it had the best sunset views! It also has a very large drive through driveway. The home itself was open, light, and wonderfully decorated. We immediately felt like we were on vacation at a beach house. There were many thoughtful touches like a wicker basket full of picnic supplies, a backpack for day trips, shopping bags, an extensive selection of DVD's, games, and books, as well as all of the info you could need about things to do in the area, and information for the house (including excellent wi-fi service) in a binder. The house has a very open floor plan which allowed all of us to gather for movies and dining. The kitchen is well supplied with everything you could need if you're inspired to cook. There is a large master bedroom and bathroom. The kids had their own room with bunk beds which they used for sleepovers (and little sleeping). It was also just down the street from Birch Bay State Park where you can spend time on the bay, and there are many places for picnics and a moderate hiking trail. A cool experience for us was that the tide went out in the afternoon, and we could walk out a long way and see crabs and collect shells that are usually underwater. Overall this was a fabulous place to stay for our Summer vacation in Birch Bay, the owners were very accommodating and helpful, and I would highly recommend it for anyone traveling in the area! Beautiful house and neighborhood! Even better view! The house was lovely. With my husband's job we travel all over and stay for an extended period of time. Some places make us want to get back to our home as soon as possible, but this experience wasn't like that at all. My husband wanted to move there! The house has everything you need whether you're looking to stay for a week or a month. It's truly a home away from home. The home owners we're nice, friendly, and got back to us ASAP if we had any questions. I would highly recommend staying here. Thanks! You two were wonderful guests. This place was exactly as promised! Clean, well appointed, very peaceful. A beautiful sunset topped off every wonderful day of our visit. The owner was easy to communicate with and timely with responses. We will be back! We spent a couple days at this house in April. We had a great time. The house was well organized, decorated and very spacious; located on a quite street with a fantastic ocean view. We enjoyed having you as our guest! It was a really fun place for the two of us. Beautifully decorated in a beach theme. Very comfortable and really well equipped kitchen, baths, and outdoors with deck furniture and a BBQ. Beach trail across the street and amazing water views from the big deck. Watched the sunset. Will come back next year. We had a very quiet and relaxing stay! Thanks, Ted. We're glad you enjoyed your stay. Birch Bay is close to Bellingham, the Blaine border crossing, and the Vancouver B.C. Canada area. There are endless things to do, or its a great place just to sit and do nothing. Our cancellation policy is 100% up to 30 days prior to check-in, and 50% up to 14 days prior to check-in. Taxes include state and local lodging. Pets not allowed due to allergies. House kept clean and low allergen. Six person maximum on site. Please call the owner with any questions. We reserve the right to ask for higher cleaning fees for larger parties or longer stays where the guest chooses not to have weekly housekeeping.